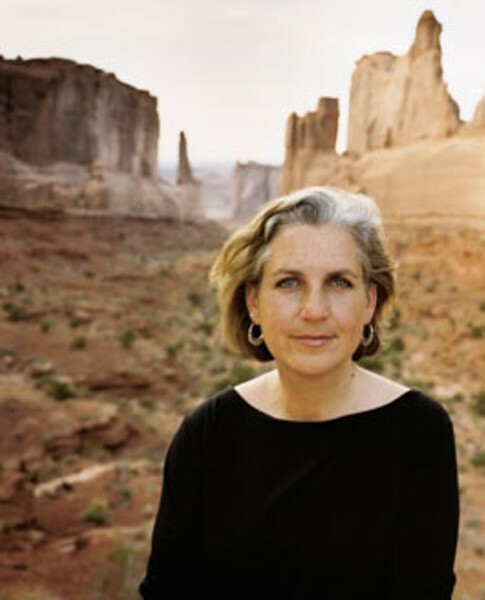 Terry Tempest Williams knows the earth and writes about it with native intimacy, no matter the setting or continent. It is her first love. For four generations, the men in her family have worked in the Tempest Company, a pipeline construction business in Utah and the Southwest. As her brothers learned to use shovels to dig intricate pathways for laying pipe, she says that her tool of choice became the pen, with which she learned to write about the earth. One of our most important environmental writers, Williams makes two North Bay appearances this weekend, to read and discuss her new book Finding Beauty in a Broken World (Pantheon; $26). Williams' landmark 1991 book, Refuge: an Unnatural History of Family and Place, tells the story of her mother's battle with ovarian cancer and the demise of Utah's Bear River Migratory Bird Refuge. The book's epilogue considers the likelihood that living downwind from the above-ground nuclear testing conducted by the U.S. Atomic Energy Commission in the 1950s and early '60s was responsible for the high incidence of cancer in her family. "I belong to a clan of One-Breasted Women," Williams writes. "My mother, my grandmothers and six aunts have all had mastectomies. Seven are dead. The two who survive have just completed rounds of chemotherapy and radiation." In Finding Beauty, Williams leads the reader to three distinct geographies: Ravenna, the Italian city near the Adriatic, famed for it mosaics, where the author learns the rudimentary skills of that ancient craft; Bryce Canyon, in her native Utah, where she works with scientists to observe the daily habits of the endangered prairie dog; and, finally, Rwanda, where she witnesses the aftermath of the 1994 genocide and helps build a memorial to the victims. In Ravenna, Williams apprentices in a mosaic workshop. "You can learn this technique in 15 minutes," her teacher tells her, "it will take you a lifetime to master it." The mosaic provides the metaphor and suggests the shape for Williams' book. "A mosaic," she tells us, "is a conversation between what is broken." And the narrative unfolds in hundreds of short, discrete sections that together form a cohesive whole. In the middle section of her book, Williams defends the lowly and endangered prairie dog, the scourge of ranchers and golfers in the Southwest, in what may be the most impassioned writing about these creatures and their towns since Willa Cather wrote about them in My Ántonia. But the emotional heart of this book is in Rwanda. Williams spends a dedicated and deeply draining month with a small team hoping to construct a memorial in this country devastated by genocide in 1994. She is above all else a brave witness to the aftermath of these atrocities. Led by a Chinese visionary artist named Lily Yeh, the team travels through a number of villages, meets with numerous officials, provides art supplies and inspires groups of children and elders to paint village houses in patterns derived from drawings made by the children. "Beauty," the author tells us, "is not a luxury but a strategy for survival." Williams sketches deft, appreciative portraits of her companions and the Rwandans she encounters, but presents herself in the most humble manner. What she witnesses makes her ill. She often feels helpless and frightened. But her chronicle of post-genocide Rwanda is one of the most important pieces of testimony we have. Williams celebrates her translator, Louis, without whom she'd be helpless. "Words," she writes, "are our tools for understanding and misunderstanding. Words can ignite and incite, kill and cull, and at the same time, words can create bridges between cruelty and compassion. A chain of words becomes a history: Neighbors. Hutu. Tutsi. Colonialism. Identity. Power. Resentment. Propaganda. A plan. A purpose. A genocide." Williams appears in a benefit reading from Finding Beauty in a Broken World on Sunday, Dec. 7, at Toby's Feed Barn in Point Reyes Station. The event, hosted by Point Reyes Books, is a fundraiser for West Marin Review, the nonprofit literary and art journal, whose gorgeous keeper of a first issue was published last spring. 4pm. $15. 415.663.1542. Williams also reads from her new book on Saturday, Dec. 6, at Copperfield's Books, 2316 Montgomery Drive, Santa Rosa. 7pm. Free. 707.578.1242. Novelist Bart Schneider was the founding editor of 'Hungry Mind Review' and 'Speakeasy Magazine.' His latest novel is 'The Man in the Blizzard.' Lit Life is a new biweekly feature. You can contact Bart at [ mailto:litlife@bohemian.com ]litlife@bohemian.com.